How do you make a destination autism-friendly? South Carolina, has a busy boardwalk and all kinds of attractions, from mini-golf courses and water parks to a zip line and a Ferris wheel. So it might not be an obvious destination for families with kids on the autism spectrum who may be easily overwhelmed by noise and commotion. But an organization called Champion Autism Network is working with hotels, restaurants and other venues to make the area autism-friendly. 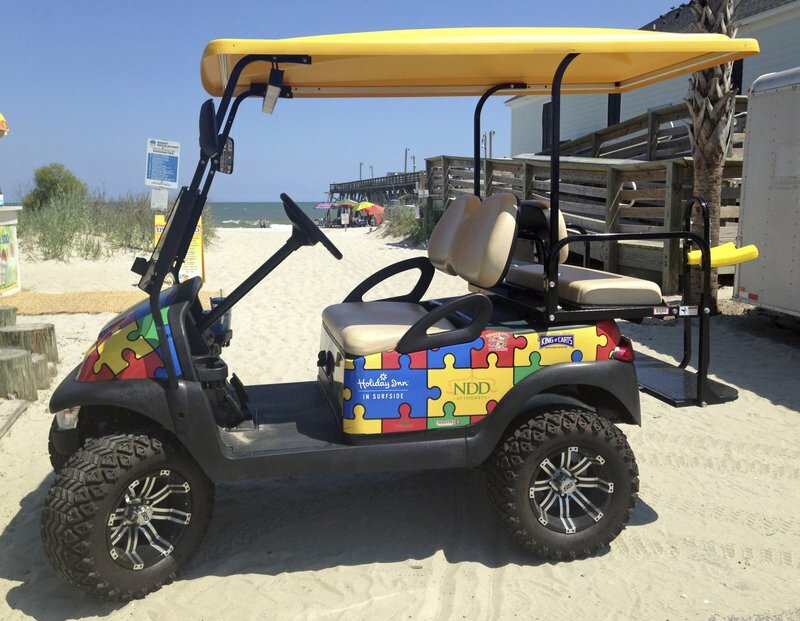 Large started Champion Autism Network (CAN) in 2016, working with the Myrtle Beach airport to open a “quiet room” where kids could decompress from the stresses of air travel. She then began reaching out to local businesses, offering staff training. Families present a CAN card at participating venues as a way to discreetly signal their needs, and the businesses offer CAN families discounts and services like skipping the wait line. Large founded CAN to serve locals, but some 450 families now have CAN cards from as far away as Minnesota, New York, Canada and Germany. Large has also fielded inquiries from other destinations looking to replicate the program. “I would like nothing better than if I could land a national chain to want to be the first autism-friendly hotel chain,” she said. CAN also has support from attractions like a bowling alley and Ripley’s Aquarium , which host “sensory-friendly” events with modified lighting and sounds. A movie theater hosts CAN families for monthly screenings of films like “Wonder Woman” where lights stay on, the sound is down and viewers can get up and move around. CAN is also organizing an April 20-21 festival screening new films by or about someone with autism. This version corrects Hilliard’s title to general manager and corrects spelling of her last name. Lifestyle - U.S. Daily News: How do you make a destination autism-friendly?